Driving under the influence of alcohol or drugs (DUI) is a serious crime in Florida and therefore comes with harsh penalties. 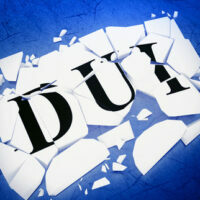 Generally, a DUI will be a misdemeanor, but sometimes a DUI will be a felony. DUI is defined as driving with a blood alcohol content of .08 or above, or driving while under the influence of a substance that impairs the individual’s ability to drive. Misdemeanor DUI is still a serious charge, with penalties including possible jail time, fines, required installation of an ignition interlock that requires the driver to blow into a device and will not allow the car to start if the driver has been drinking at all, and license suspension. There are specific factors that the prosecution must prove in order for someone to be convicted of DUI, so make sure that you contact a skilled felony DUI charge attorney if you have been charged with a DUI. Third DUI within 10 years. A third DUI within 10 years can be charged as a felony in Florida. The clock for the 10 years resets with each DUI so this applies if the third DUI is within 10 years of the second DUI, no matter how long ago the first DUI was. Fourth or more DUI. A fourth (or more) DUI can also be charged as a felony. DUI with serious bodily injury. If a driver who is driving under the influence causes an accident where there is serious bodily injury then he or she can be charged with felony DUI. DUI manslaughter. DUI manslaughter is when the impaired driving of someone causes the death of someone else. There are extra penalties for leaving the scene of an accident. Vehicular homicide. Vehicular homicide is when the reckless driving of a vehicle causes the death of someone. The penalty for a felony DUI depends on the level of the felony. A felony DUI due to a third or fourth DUI and a DUI with serious bodily injury are all third degree felonies punishable by up to five years in prison and a fine of up to $5,000. DUI manslaughter and vehicular homicide are both second degree felonies punishable by up to 15 years in prison and a fine of up to $10,000. Finally, leaving the scene of an accident where there was a death, whether DUI manslaughter or vehicular homicide, is a first degree felony punishable by up to 30 years in prison and a fine of up to $10,000. If you are charged with a DUI, whether it is a misdemeanor or a felony, you should contact a knowledgeable felony DUI charge attorney as soon as possible to help you get the charges reduced or dismissed. Even a misdemeanor DUI comes with serious lifelong consequences and can also contribute to a later felony charge if there are more misdemeanor DUIs. Contact our experienced felony DUI attorneys at the Skier Law Firm in West Palm Beach to help minimize the consequences of a bad decision.